What’s better than a cup of hot delicious coffee on a Sunday morning? A hot cup of delicious coffee and a new Pottery Barn Knock-Off Series Part Four Edition that’s what! 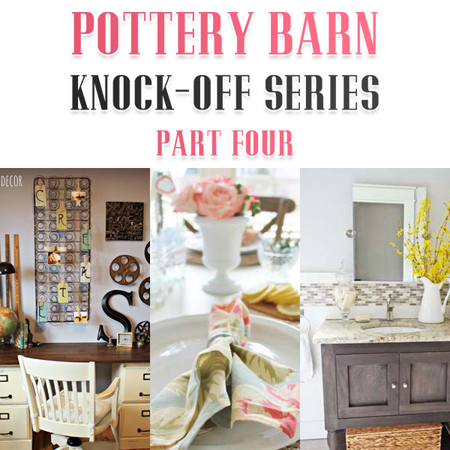 Yes….it is time for a new Pottery Barn Knock-Off Installment because we love to listen to out readers and give them what they want the most and Pottery Barn Knock-offs are at the top of the list! 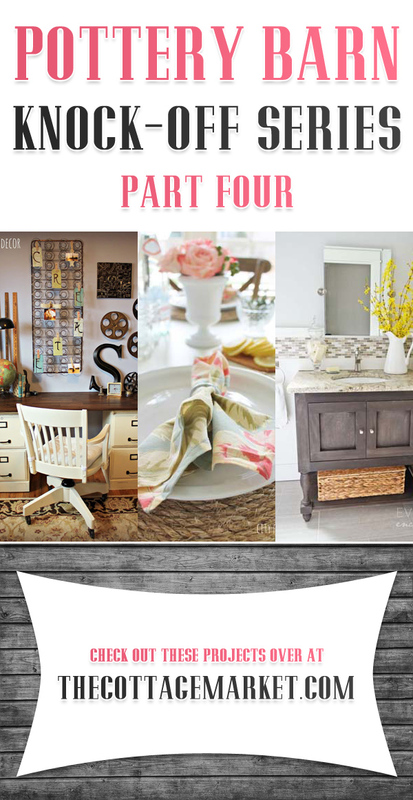 This installment is filled with all kinds of Home Decor treasures that are simply amazing! They actually look they came directly from Pottery Barn but they don’t have the high price tag. You are going to enjoy the variety of DIY items in this collection…we have a Beachy Wreath..a fabulous hand painted sign that you will not be able to tell the difference from the real one…honestly…it is that perfect…there are baskets on wheel…complete diy on making a Pottery Barn bed with built in storage…even a topiary and more. So sit back and experience all of the beauty and creativity that these wonderful bloggers have shared with us. Visit them all and get the complete DIY and Tutorials. Sending out a BIG thank you to all of the bloggers for their creative genius…applause and appaws to each and every one of you. So is there one particular Pottery Barn Knock-Off that you are in love with? Hope you have been inspired to CREATE!!! See you next ime for Part Five. Thanks so much for including my DIY Seashell Wreath in your Pottery Barn Knockoff series! I love Pottery Barn and you’ve out together some great knockoffs! Loving what everyone else has created!